Be it their reality shows or fiction dramas, there are some Indian TV actors who are simply ruling the roost at the moment. 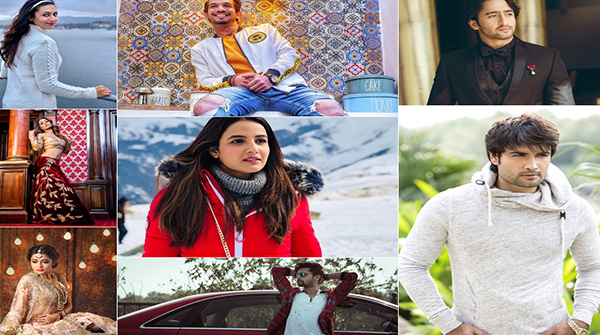 From the dashing Ravi Dubey, who is currently hosting singing reality show Sa- Re- Ga- Ma- Pa Lil Champs to Hina Khan, the new Komolika from Kasauti Zindagi Ki 2, their popularity has been rising sky high with each and every show. Here are our favorite top 10 of the TV industry. Take a look! Having spent more than a decade in the industry, Ravi has always been at the top of his game, be it his first show Stree…Teri Kahaani or other projects such as Saas Bina Sasural and Jamai Raja. The actor has even conquered the non-fiction world with shows such as Fear Factor: Khatron Ke Khiladi 8, Entertainment Ki Raat and Lip Singh Battle. The actor is currently hosting Sa- Re- Ga- Ma- Pa Lil Champs, and all we can say is that he gets better with every show. Don’t you agree? Click the ‘NEXT‘ tab and read more now! Sanaya Irani, Mohit Sehgal, Shakti Arora and Neha Saxena To Be Seen On This Show Together! Salman Khan's new channel! Are you excited? Arjun is the best among them!!! !